For sale unfinished house in Corfu, Kommeno area, 470sq m, on three levels, 1 living room, 1 dining room, 3 bedrooms, kitchen, 4 bathrooms, elevator. Land 3585sq.m. Amazing sea view. 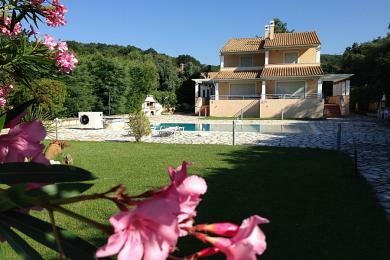 Detached house for sale in Corfu town, Greece, 182sq.m. , 3 bedrooms,livingroom with fireplace, kitchen, dining room, 2 bathrooms, heating, parking place, big garden.Panoramic sea view. 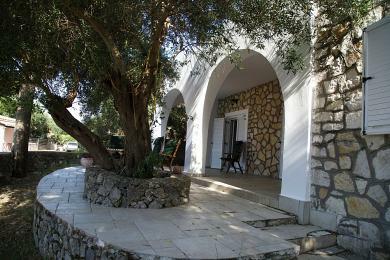 Villa for sale in Corfu, Greece, Ionian Islands, 336sq.m., consists of two apartments 168sq.m. each with 3 bedrooms, livingroom with fireplace, kitchen, dining room, 2 bathrooms, wc, heating.Land is 1300sq.m. with 20sq.m. 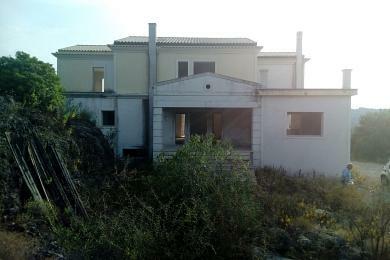 warehouse.Possibility for pool.Distance from Corfu town 3km.Close to beaches. 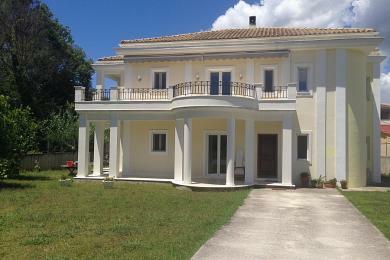 Villa, coaslty, for sale in Corfu, Greece, Ionian Islands, 380sq.m.The villa consists of two maisonettes of 190sq.m.Each maisonette is 110sq.m. with 3 bedrooms, livingroom with fireplace, kitchen, two bathrooms, basement 80sq.m., water tank, parking places, heating.The villa has pool and land 1700sq.m. 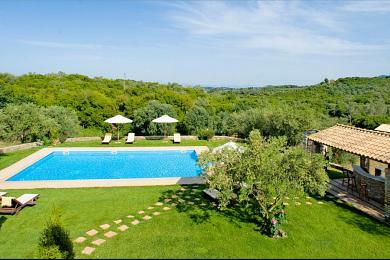 Villa for sale in North Corfu, Greece, Ionian Islands, 147sq.m., with 3500sq.m. land. 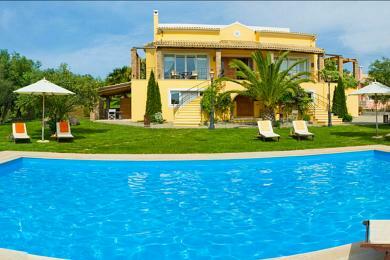 Villa is in a superb beach front location, boasting air conditioning/heating in the bedrooms, pool, jacuzzi and WiFi. 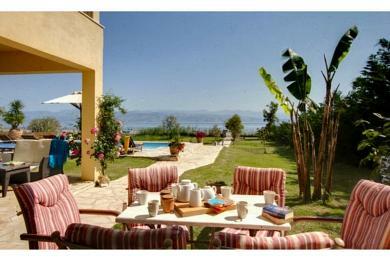 This villa has stunning views across the beach to the sea and mountain range of Albania. In one of the most beautiful islands of the ionian you can find Villa located in the eastern part of Corfu 12km from Corfu Town & corfu Airport. 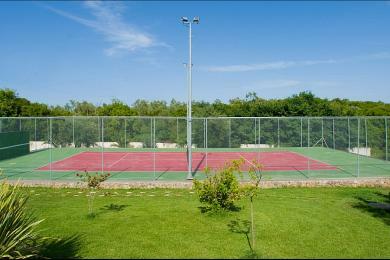 Villa is 300m form the centre of Dassia resort and 200m from the nearest beach.